Joe Vogel first made a name for himself as student-body VP at then-Utah Valley State College in Orem in 2004, when he sparked a firestorm in having filmmaker Michael Moore make a campus appearance. The debacle later became fodder for the documentary This Divided State. Today, living in Rochester, N.Y., Vogel has gone on to write several books and is a blogger for The Huffington Post. What’s it like blogging for The Huffington Post? It’s been great. I was fortunate enough to have a friend who wrote for The Huffington Post get me in a couple of years ago. It’s a great platform to write on a whole host of issues to a wide audience. I love it. One of your Huffington posts criticizes the LDS Church’s involvement in Prop 8. As a Mormon yourself, did you take some heat for your views? Criticizing the church, even if it is done in good faith, always comes at a cost. Many members tend to conflate dissent with apostasy. However, to me, every healthy institutional body needs diversity. It needs to allow its members to speak openly and honestly. Do you find it hard being politically progressive and Mormon? I basically just do what I think is right. I feel very comfortable with who I am and try not to act out of fear. Sometimes, I have to consider the impact my actions will have on family and friends, or decide what rhetorical strategy to take. But, I’m comfortable being what I call an “inclusive” or “pluralist” Mormon, and I try to speak out so that others will feel like they can follow their consciences and remain Mormon as well. Now that Obama is president, do you have the same enthusiasm for him as you did when you wrote The Obama Movement: Why Barack Obama Speaks to America’s Youth. Honestly, no, I don’t have the same enthusiasm—mostly because the political game wears me out. I could never run for office or be an “Inside the Beltway” guy. 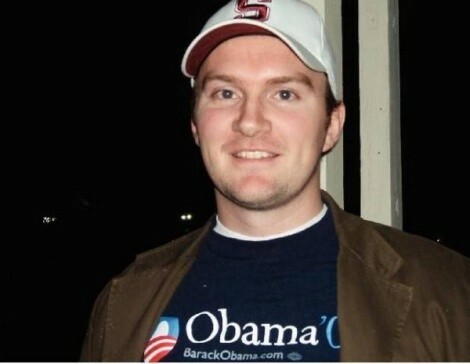 I am very happy Obama was elected and that I took part in his campaign from the beginning. I also think he is doing a pretty good job, considering the numerous challenges we face post-Bush. Do you and Michael Moore stay in touch? We stayed in touch for a little while until I published my book, Free Speech 101. Michael Moore was very kind and gracious to us.